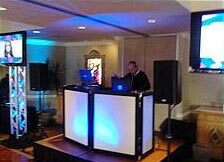 We offer experienced Dj's and Bilingual Master of ceremonies for Quinceaneras (Quinces) that are refined in both Spanish and English. 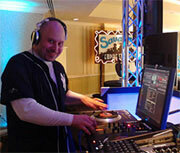 We offer Quince DJ's that Know how to please all age groups, up to date with the latrest music, as well as favorite dusties, highly experienced in music from every latin american country, we know exactly what to play for each audience, and mix it right to keep them dancing all night long. Our bilingual Master of ceremonies are refined experienced professionals in both languages, and know all the Quinceanera formalities, and will plan the details out with you before the quince, so everything will go exactly as planned. 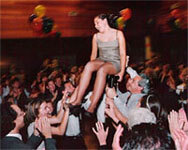 We even provide an online planner where you can input all the necessary quince information, such as the names of the court, the specific ceremonies, and special songs to play for each ceremony, time line, music for the dancing, etc., this can all be done on our online planner, and once completed, we will go over the details with you, to asure a succesful event, this way you can just sit back and enjoy your special day. 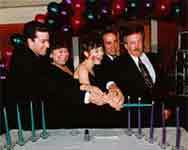 Our MC's will motivate and interact with your guests, and create a festive and memorable event for everyone involved. Call us now for a Quote.